’I stand in front of the looking-glass in my bedroom, checking my reflection: the girl in the mirror is …’ The ‘girl in the mirror’ device may be the oldest cliché in the ‘Characterisation’ section of any manual for teenlit authors but here, you could argue, there’s some excuse since the looking-glass of the title refers to Lewis Carroll’s classic text. Alice Beech, our central character and sometimes narrator, falls down her own nightmare of a rabbit-hole and ends up comatosed in a hospital bed. Fragment by fragment, the events which precipitate her life-shattering tumble down a flight of stairs become clear; slowly she understands what happened one night at a sleepover where calculated bullying almost took her life. The novel spans a period from her last year of primary school through to age 13 or so, tracking the who’s-in/who’s-out alliances in an all-girls’ school. Boys make a few peripheral appearances, mostly as strangers from another country; only Alice’s friend from drama club, Luke, has any depth and a stability remarkable in a 14 year old. This is a tale of jealousy, loneliness and spite. An everyday story, the book seems to say, of growing up female in middle-class suburbia. As Year 6 comes to an end and secondary life begins, Alice’s two best friends, Yaz and Elaine (soon to insist upon ‘Lainey’), abandon her, falling under the spell of dominating, wealthy, ‘perfect’ Savannah. Savvy and her acolytes are a wretched crew – shallow, mean-spirited, obsessed with appearances (‘For Savvy, it was all about what people might think’). They are responsible for planning the almost fatal sleepover. While many readers will recognise persecution as devious and manipulative as this, the unrelieved malice makes for a problem here. Savvy and Co reveal barely a hint of a redeeming feature between them. Even their anxiety for Alice in her coma is driven largely by concern that no one discovers that they were the cause of it. It’s not giving too much away to say that by the end, Alice is happily ‘in’ with the in-crowd while Lainey – the most vicious of the harpies – is ‘out’. 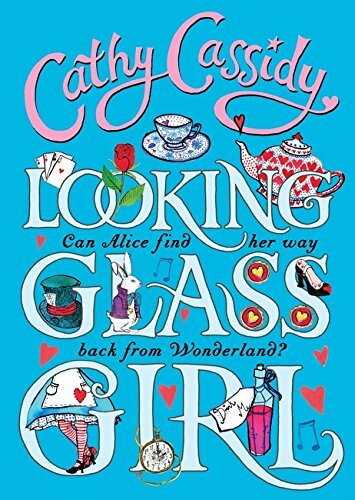 But why on earth would Alice, the only likeable girl in the novel, want to be in with Savvy? Alice is worth more than that, as is Luke, with whom she has a growing friendship – including a believable sexual element. This reader, at least, had expected she’d settle for more, since the narrative seemed to demand that. Dialogue here is often banal and repetitious, and while conversation may in reality often be banal and repetitious, it makes for tedious and undemanding reading. Characters are at the service of a plot which frustratingly plays with some interesting notions – such as parallel adventures in Alice’s comatose mind involving The White Rabbit, The Mad Hatter, The Duchess et al – only to overplay them by such frequent use at the same point in too many chapters that they become formulaic. In practice, though, these reservations will probably mean little. This may be a soap opera of a read, but the fact is Cathy Cassidy’s worldwide sales are counted in millions. They clearly hit a spot very precisely; and, as that fine writer for young readers, Peter Dickinson, acknowledged long ago, all of us – young and older – need our ‘literary roughage’. Poldark, anyone?